Planning a ski holiday when you're a beginner can be a confusing process; trying to figure out which resort to pick and what exactly you will need in terms of ski passes, ski rental and lessons. But don't be disheartened! We are here to take you through each stage of planning to ensure your first ski holiday is a memorable and exciting experience, with all the right elements in place to suit your groups' needs. Discover our useful guide below for an overview of our top recommendations, or give us a call on 02074717700 and let one of our Ski Experts provide indepth knowledge and experience to help craft your holiday. It is a good idea to book ski school lessons before you go – especially if you are going during school holidays, and it’s worth having a lesson on a dry slope in advance too so you can master the basics. Most ski schools offer group beginner lessons that run for 2-3 hours each morning, and then the afternoon is yours to either practice or relax and enjoy some après ski. Don't be discouraged if you are a beginner who is on holiday with a more experienced group. The key here is to select a resort which offers a good range of nursery slopes alongside more advanced options too - also providing an inviting progression to work towards for those who are still learning! Ski-in ski-out accommodation will provide a convenient meeting place or rest spot, giving you the flexibility to go at your own pace. Here is our selection of the ski resorts best suited to beginner skiers. With plenty of green and blue runs, easy to access nursery slopes and a good selection of ski schools on offer you will be confident to master the basics and beyond. A snow bowl of wide open pistes with 'ski tranquille' slow zones, where you can learn the basics before progressing to the resort's more challenging terrain. This superb resort offers a remarkable variety of slopes to suit all abilities, with free use of the beginner's lifts. 'The pearl of the Alps'; Saas Fee is awash with beginner-friendly runs, secluded nursery slopes and a huge range of ski-in/ski-out accommodation. Wide, flat pistes with few trees create the perfect setting to build up your technique, with the help of the resort's fantastic selection of ski schools. 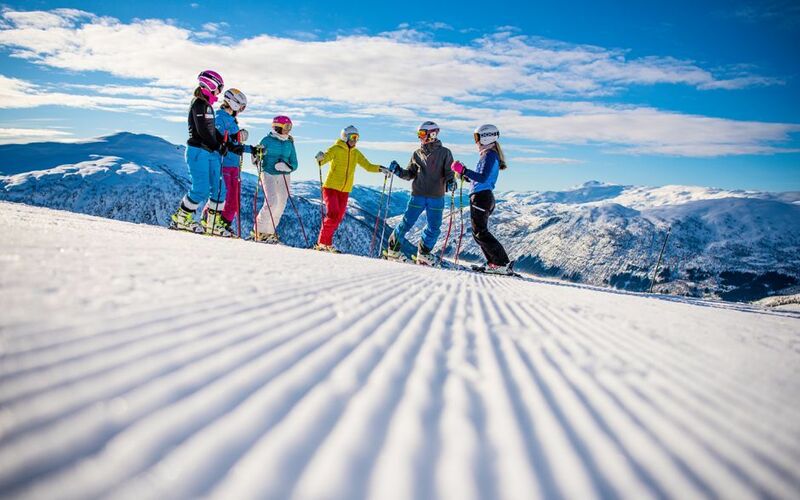 Trysil is Norway's largest ski area and an ideal location for families and beginners. Enjoy wide-open runs and even an alternative piste map catered towards children.